Michael Lawlor, criminal justice advisor to Gov. Dannel Malloy. 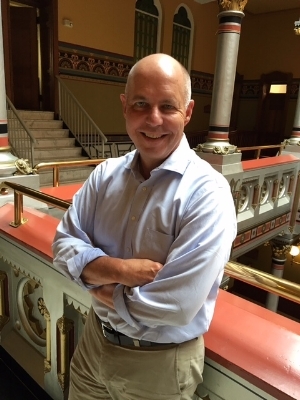 This week on Dialogue Steve Kotchko talks with Michael Lawlor, criminal justice advisor to Gov. Dannel Malloy about various topics. They include a detailed discussion of the controversy in the headlines about federal efforts to deport undocumented Connecticut residents even though they have no criminal records. Lawlor also explains Connecticut’s new bail reform law designed to insure that people arrested for minor offenses are not kept in jail simply because they are poor and cannot afford bail. Lawlor offers updates on the crime rate in Connecticut, and the declining state prison population.